I thought I’d share a couple of yummy recipes I’ve tried lately. Combine dry ingredients in a large bowl. Form a well in the center of the mixture. In a separate bowl, combine eggs, vegetable oil, strawberries, and chopped pecans. Pour into well in dry ingredients and spoon until evenly mixed. 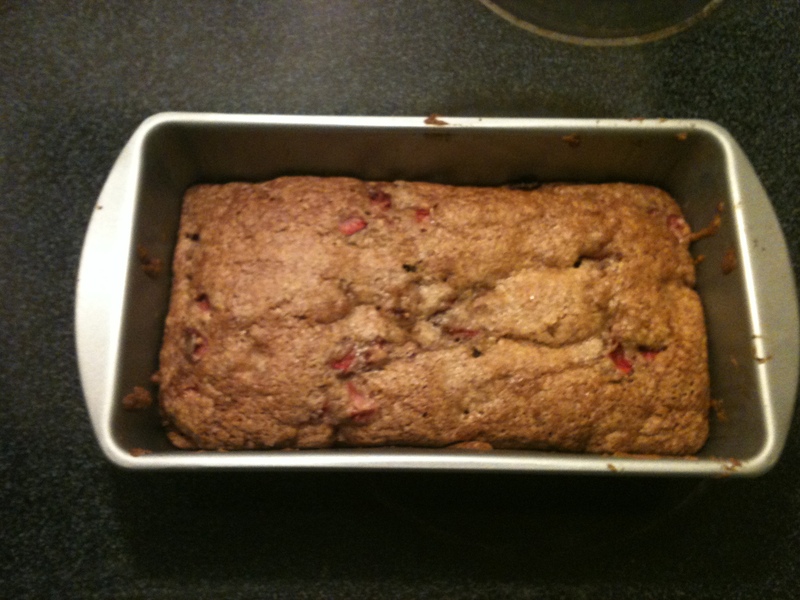 Spoon mixture into two 9 x 5 loaf pans. Bake at 350 degrees for 45-60 minutes. This bread is SO yummy! I replace half of the vegetable oil with unsweetened applesauce. I leave the pecans out. Beat cream cheese, vanilla, and butter together until creamy. Gently stir in confectioners sugar and chopped nuts. Spread over cooled bread. Pour soy sauce, sesame oil, and Worcestershire sauce in a bowl. Whisk in brown sugar, green onions, chile paste, garlic, and pepper. Place meat in dish and pour marinade over it, turning meat several times to coat. Cover dish and refrigerate/marinate for at least 8 hours. Roast at 325 degrees for 90 minutes. This was a great marinade! 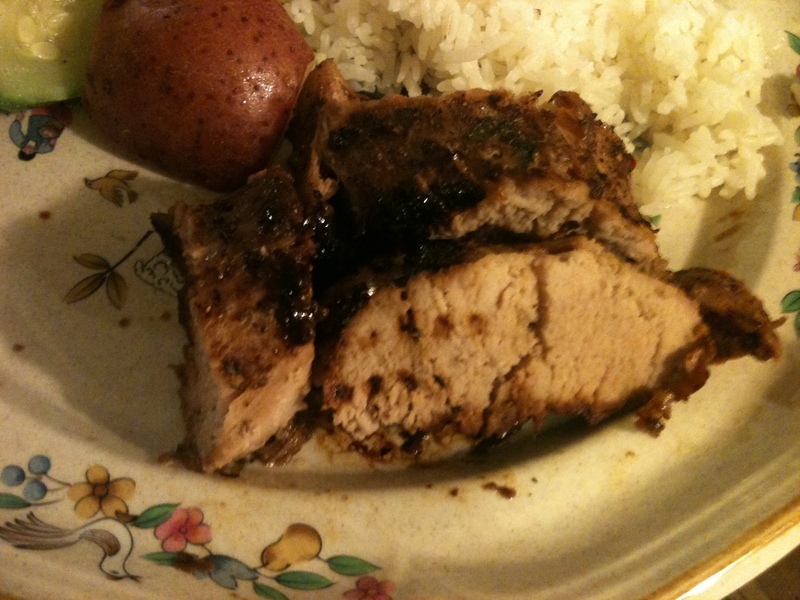 It gave the pork tenderloin a rich, spicy taste! I found this at www.allrecipes.com.